I wish we’d seen Dave shirtless. Not just because I think Max Adler is a handsome lad, but because I’m really uncomfortable with the way Glee handles weight. A year ago, Kurt called Dave “chubby” in the locker room scene, and last night Kurt’s bucket list included a fantasy of having relations with “Taylor Lautner before he gets fat.” And we’ve seen Kurt pushing Mercedes to starve herself in order to fit the mold of Cheerio (and enjoying Splenda for breakfast) — ultimately, I get the feeling the only reason Kurt is OK with having a fat friend is that Mercedes is a girl and no one’s going to think he desires her. via You want a positive message? Dave should be shirtless: Glee 3.05 « Don’t Turn It Off!. and almost didn’t read the why. And that would have been unfortunate because it’s totally interesting. You are hilarious. 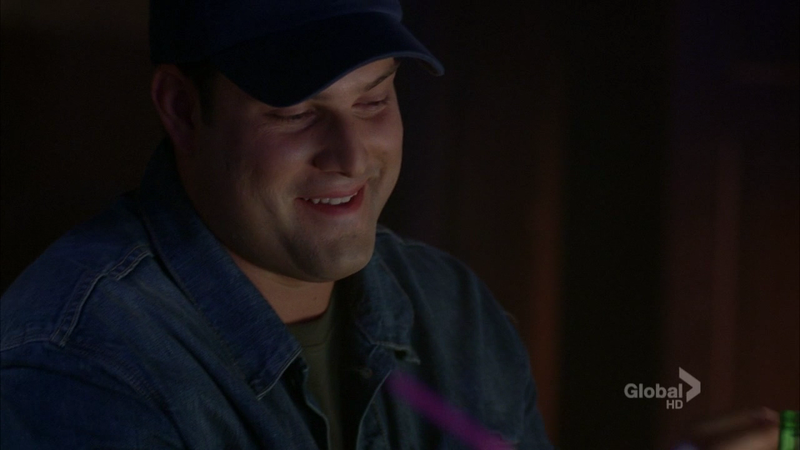 I mean, I HAVE seen Karofsky (or at least Max Adler) shirtless. That was weeks ago! But yes, it was more than just a desire for naked flesh. I’m actually only vaguely interested in naked flesh otherwise. Oh, I totally agree. I don’t care so much about Dave K., but Glee’s politics around weight have been consistently messed up. Has everyone noticed how the bigger gals’ “matching” outfits are modified to show less of their bodies? I’m still bummed about the loss of Lauren (most charming character on the show, if you ask me! ), not least because now she’ll *never* get a storyline that’s not about her being fat. She broke up with Puck and just disappeared! Sure, she wasn’t that into Glee Club, but hasn’t that been true for nearly all the characters at some point?